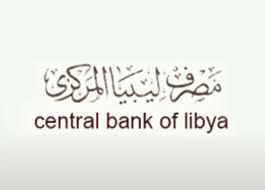 The Central Bank of Libya (CBL) has assured the Libyan public that it will be continuing its set of policies that have led to the recent positive results in the economy. In a statement released today, the CBL repeated almost verbatim its 5 February statement in which it sounded very upbeat about the country’s economic outlook. It said that it was observing the positive results to the cash crisis and the increased improvement in purchasing power and decrease in prices of goods and services. It will be recalled that the black-market exchange rate for the LD had almost halved from LD 9.70 at the end of last year to LD 4.80 against the dollar in January. This huge gain in the LD value had reflected positively on prices across various sectors. Although the dinar has subsequently lost some value against the dollar down to LD 6.23 per dollar at today’s exchange rate. In its statement today, the CBL said tat it will continue opening Letters of credit (at the official exchange rate of LD 1.3 to the dollar). It also assured that, together with the Presidency Council and Government of National Accord, it was formulating an economic reform programme in order to activate the economy out of its current downturn by making available hard currency to various domestic sectors. The CBL also assured that it was continuing the organized payments of the annual family dollar allowance. It was also completing the establishment of a foreign currency payment system. For foreign employees in various sectors. Private Libyan citizens will also continue to be able to transfer foreign currency for education and health needs. Finally, the CBL assured that it was activating the e-payment system, including the Sadad -e-mobile payment system.